I bought a new camera just recently (an excellent Panasonic Lumix DMC-FT1, waterproof to 3m!!) and take it on some training sessions with me to snap some fantastic pics and videos. This is spooky. I was going to start a thread for you to post pics from training/racing where ever you happen to be or travel to. Nice work Campbell, can you get the camera on your bike? Not me, and not youtube, but this is a handlebar cam from last Sunday's Glenvale Crit A Grade.. hard to tell in the video, but first 30 minutes was ~ 50kph Avg... Glad I was in B grade! 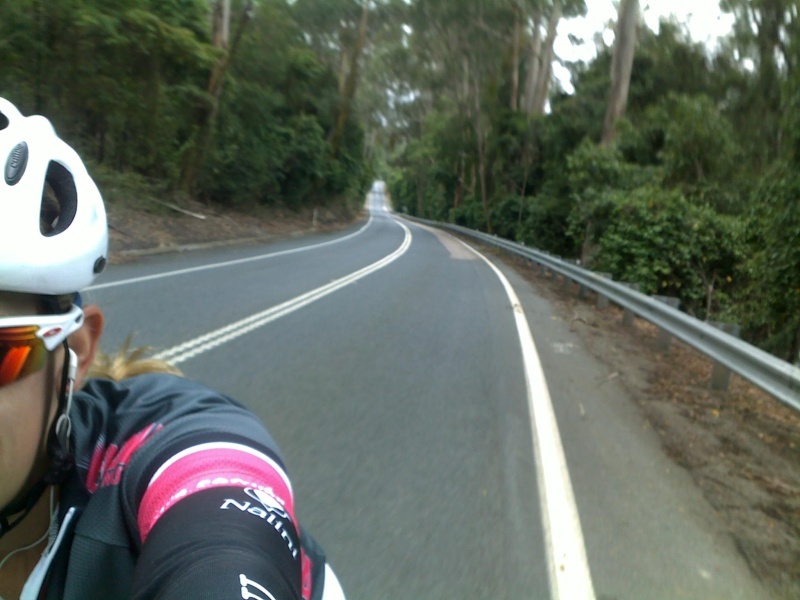 This particular stretch of road was a nice 2k climb out of a town called Nowa Nowa on the way to Lakes Entrance..
Yeah it is great that Cam now has a camera..... Unless you are coached by him and you get greeted with it in your face. In the audio Carmichael mentions he is using a 39/28 to climb this hill. I would assume I should use my MTB gearing then. Campbell M wrote: I bought a new camera just recently (an excellent Panasonic Lumix DMC-FT1, waterproof to 3m!!) and take it on some training sessions with me to snap some fantastic pics and videos. Ha! I gave that very Camera to my Wife for Christmas. I bought myself the same camera for Xmas. It's great for taking underwater video to look at swimming technique. It's amazing how you can TELL someone what they're doing 100 times and they don't get it, but as soon as you show them the video, the penny drops.